Today, Nintendo announced that it has begun work on a new platform. It's not quite what you'd expect. Developed with US-based ResMed, Nintendo is working on a new QOL (quality of life) platform that uses sensors and the cloud to monitor people's lifestyles. For example, the non-wearable QOL sensor can be placed next to a user's bed. 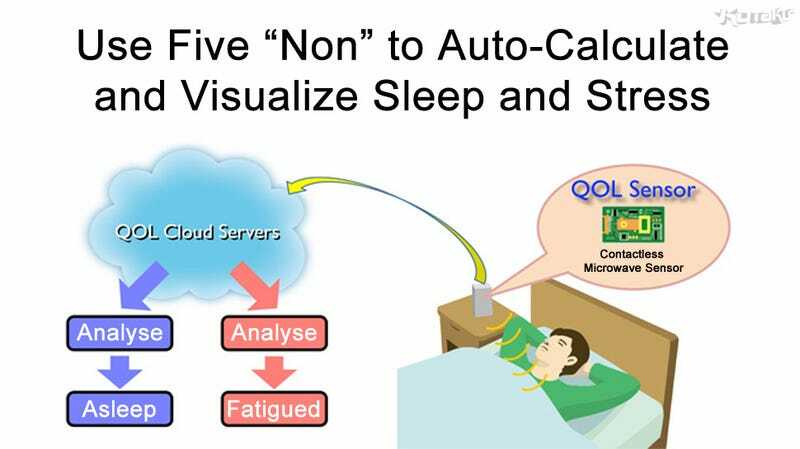 It is able to monitor the user's sleep and help people develop better sleeping habits. The sensor might be available through a subscription, Reuters reports. ResMed already developed the world's first contactless sleep sensor, which is called the S+, so the expectation is that Nintendo will use its software and gaming know-how to bring this tech to a larger audience. "We only start something new if we think we will be able to create a big market, but as I'm not able to discuss pricing plans and other details today I don't think there's much point in giving a figure for our projected scale," Nintendo president Satoru Iwata is quoted by Reuters as saying. This isn't Nintendo's first entry into health related goods, as Wii Sports and Wii Fit are proof of that, as is the missing-in-action Wii Vitality Sensor. "By using our know-how in gaming... to analyze sleep and fatigue, we can create something fun," Iwata also said. As Reuters points out, the platform comes from Nintendo's new health care division and is slated for release by the end of March 2016.